The following may be an untapped resource that if you have not used to any extent, do consider it. It is a free online site, “Find-A-Grave“. 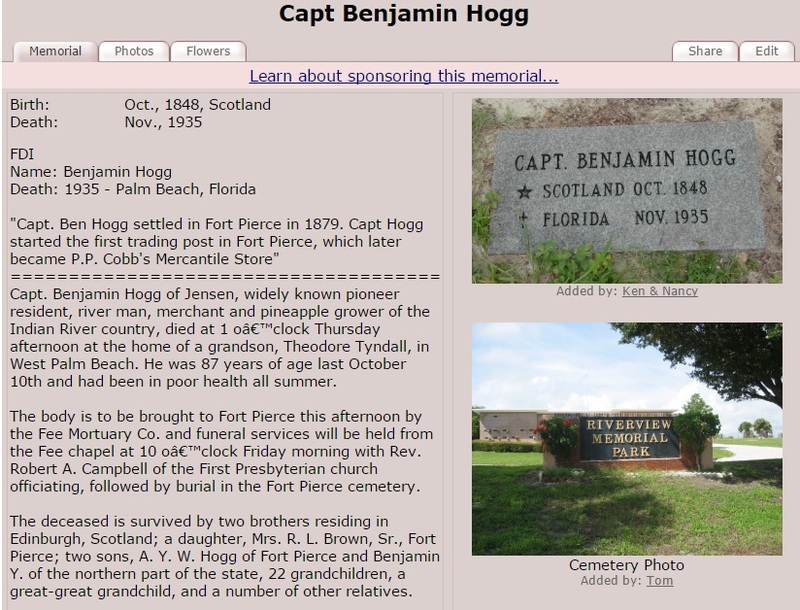 The site listing has information from people’s gravestones (birth and death dates), the cemetery name, grave location and often photos of the grave markers as well. In addition, text of the person’s obituary may be there along with a biography and photos of the individual. 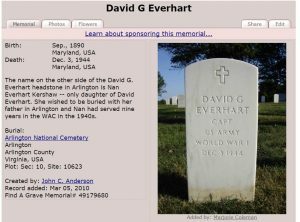 Many of the Find-A-Grave postings are done either by descendants or unrelated individuals who post all the headstones in their hometown cemetery. Then they take the time to research and locate the obituary and any other information. 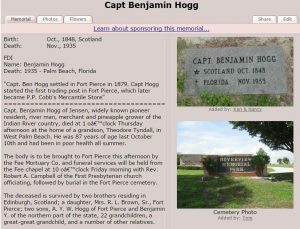 When the Find-A-Grave postings are done by a descendant there might be even more information and photos provided as well as a possible cousin of yours. Another interesting addition can be listings of the decease’s parents, siblings, spouse and children. Now that is a ‘gold mine’. Those names and dates can also be linked so you can call up their posting. While on an ancestor’s Find-A-Grave posting also click the link on the left of the cemetery’s name and a listing of other people with the same surname in that cemetery will be listed. Some previous unknown relatives might be located. On gravestones can be reference or symbols for military service, civic organizations or clubs the person belonged to. If an ancestor was buried in a national military cemetery, those are listed also. Now you might not know the cemetery the ancestor was buried in but do start with the state name they last lived in. If the county is known include that in the search to help narrow it down. Keep in mind you might have to first search just with a surname rather than full name in a specific state and county. Also, do a search using a female’s maiden name if known. She may have been buried in her birth family plot. There are also grave postings for countries outside the United States, so check out those also. 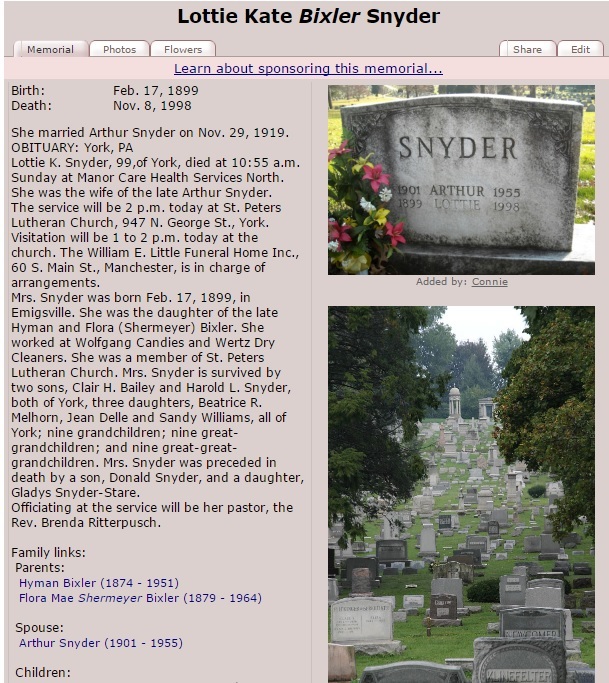 So get your family list in front and spend the time looking up ancestors on Find-A-Grave. Photos: Capt. 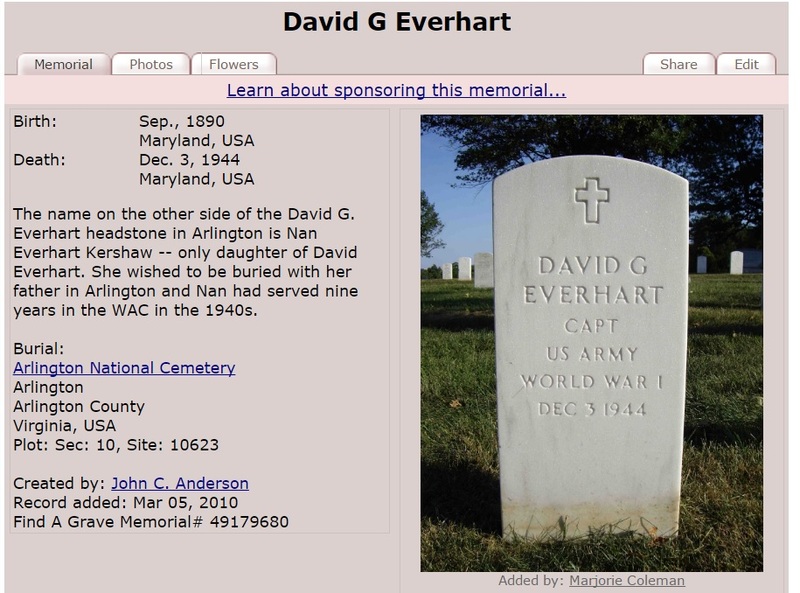 David G. Everhart in Arlington National Cemetery; Florida pioneer Benjamin Hogg with a long biography; and Bixler maiden name in York Co., PA with family listings.